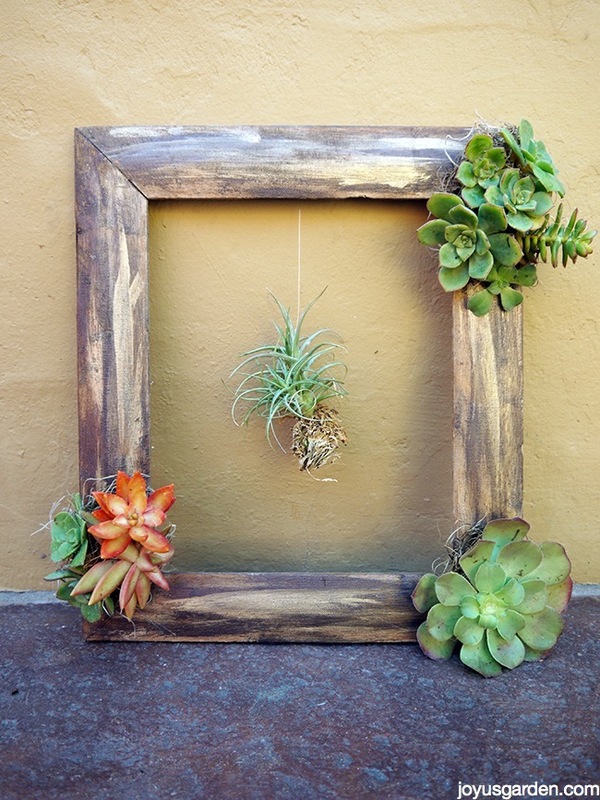 I found a forsaken frame & turned it into a piece of living art along with succulent cutting from my garden & an air plant. 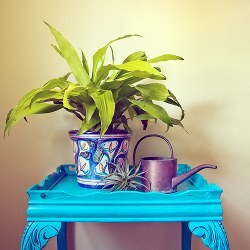 The step by steps guide you through this DIY. I’ve lived in California for a very long time but I’m originally from New England. Yes it’s true, you can move the girl clear across the country to the other coast but you can’t take the Yankee ingenuity and frugality out of her. 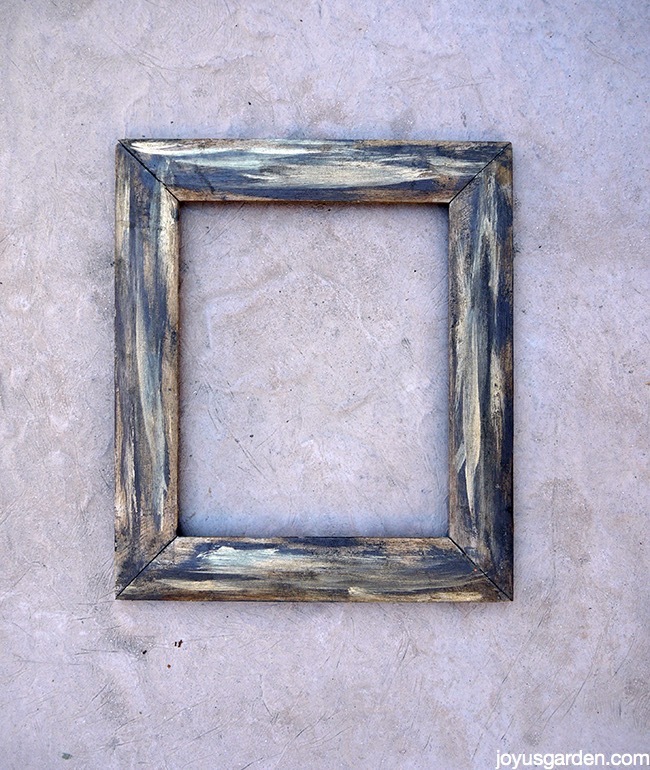 I found this forsaken frame in a heap of discarded junk and treasures next to the sidewalk a year or so ago. 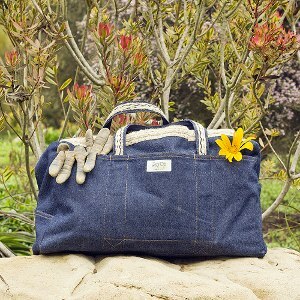 I just knew this tossed away treasure would be used in 1 of my succulents crafting projects at some point. 1) Here’s how the frame looked before I touched it up. Rustic but not the look I wanted. 2) I had a bit of Modern Masters Metallic paints left in statuary bronze & pale gold. I dry brushed on the bronze, ran a brush dipped in water over it & then highlighted with the gold. It was a very quick process & voila, a new look. 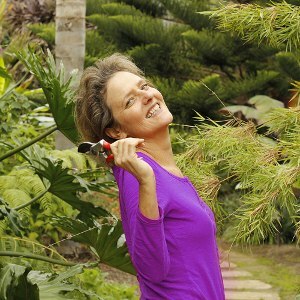 Lucy was up from Laguna Beach for another one of our video filming marathons – 23 videos in 4 days to be exact. It’s exhausting but it’s nice to have a lot of videos lined up in the queue to choose from. 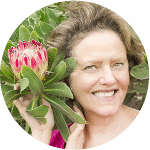 I had both a box and basket full of succulent cuttings from my garden on my work table which I’d used for a few other crafting projects filmed that day. I figured, why not throw 1 more craft in the mix? 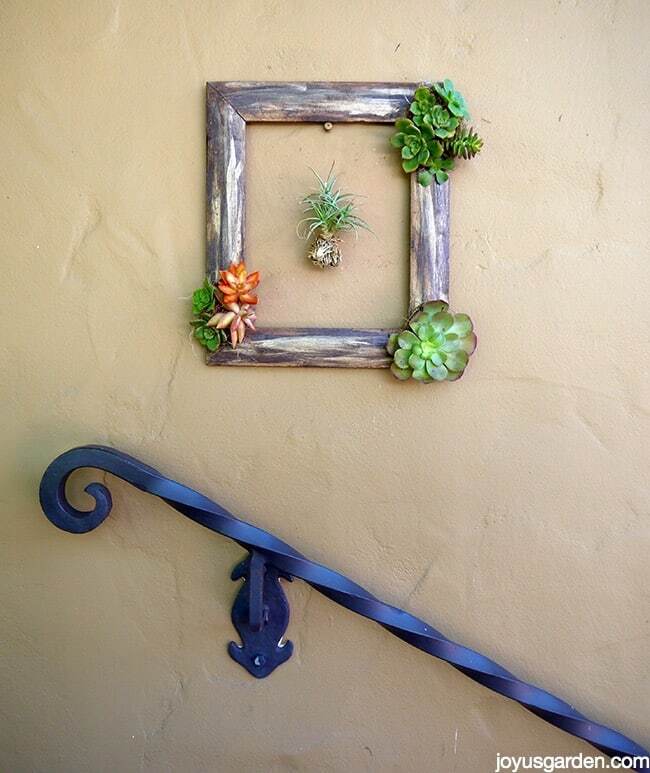 I’m sure you’ve seen beautiful frames full of succulents and I totally love that look. 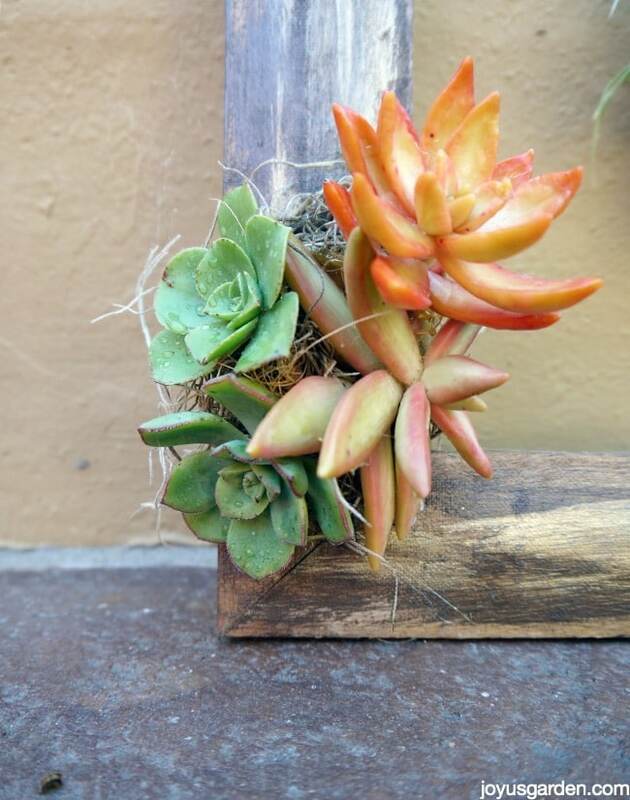 The frame is placed on a shallow box with a covering of something like chicken wire and then the succulents are planted in. I plan on doing this more involved project next year. 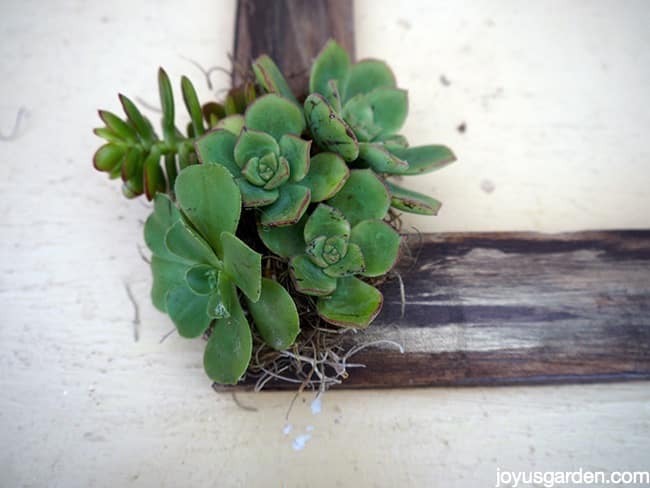 The succulents placed on the perimeter of the frame won’t last as long, but depending on the type you use, you could get 6-12 months of life out of this piece of living art. 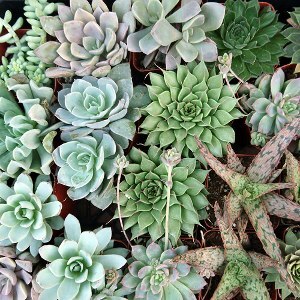 Tip: spray the succulents every 7-14 days (depending on the temps) to help keep them looking good. 3) I waded up pieces of Spanish moss & glued them onto the frame. I them glued the succulents onto the moss. 4) I didn’t completely cover the frame & attached the succulents at the corners because I like the look of the frame showing. I used hot glue out of my electric fry pan that I got when I first started my commercial Christmas decorating business but a glue gun would work just fine for this project. Tip: be sure to use enough glue (without going overboard!) because the succulents have some weight to them. I had to re-glue on a couple of the moss balls as well as a few succulents because they drooped off when I picked the frame up. 5) This is really a fun craft but I’m really concentrating on gluing that Miniature Jade cutting on. 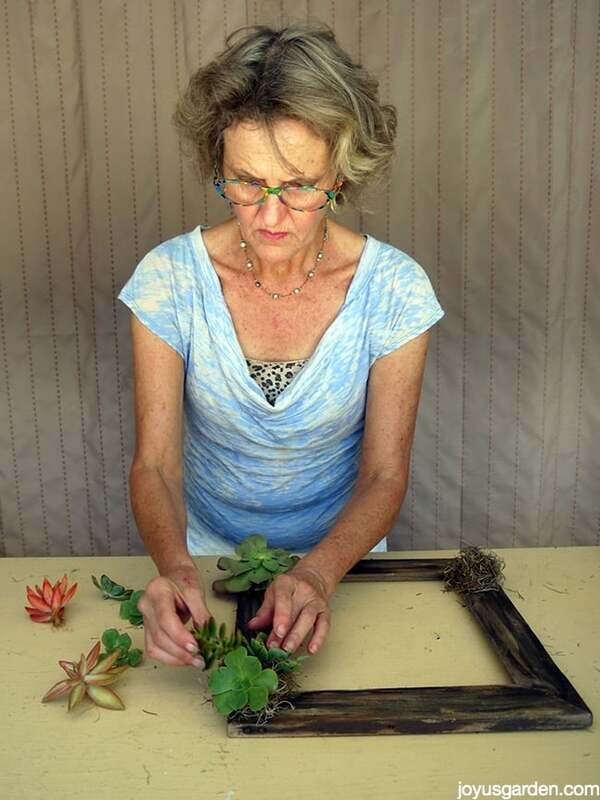 Tip: be sure to hold the cuttings on the moss for at least 5 to 10 seconds as the glue dries otherwise the succulents don’t stay where you want them to. 6) For a little surprise, I hung 1 of my air plants in the middle of the frame with my ole buddy fishing line. A piece of threaded tape holds it in place on the back but hot glue would work fine too. 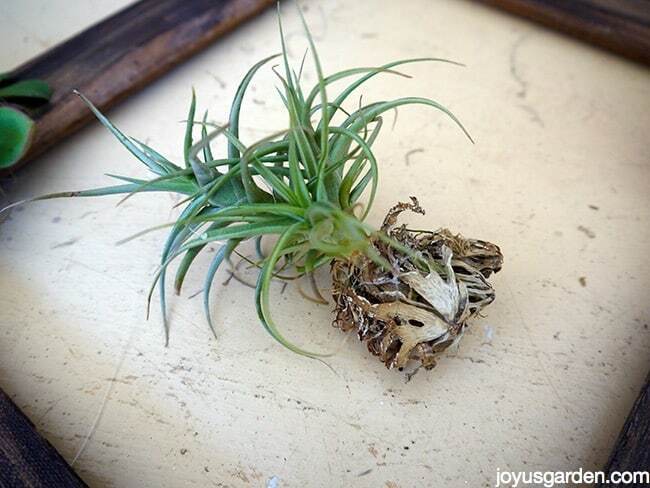 Tip: wrap the stem of your air plant with lichen or moss to hide it. This adds a bit of interest too. 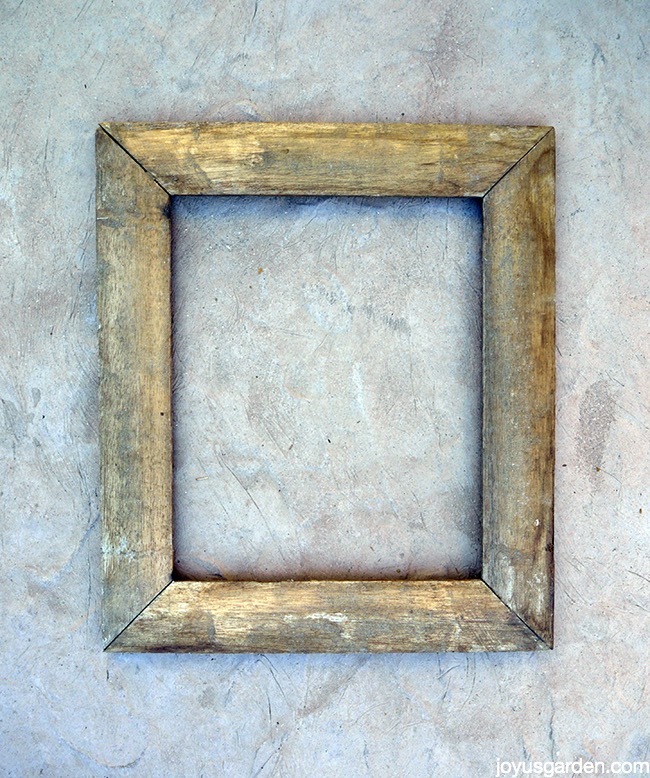 Frames like this 1 can easily be found at thrift stores, yard sales, reuse stores and even tossed out on the streets like mine was. I repurposed it and give that frame a whole new lease on life. Instead of showcasing art, it became a piece of art with help from succulent cuttings from my garden and 1 of my air plants. 7) If you don’t want to hang the frame, it also looks great hanging against a wall. Air Plants are great for crafting too. Be sure to check out the ones we sell here.